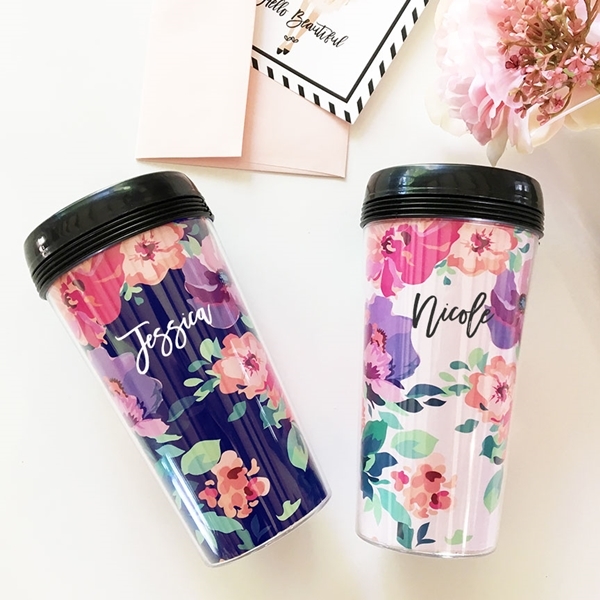 These beautiful floral-patterned acrylic coffee tumblers feature a black twist-off lid and the recipient's name in a modern script font. The tumbler is made of BPA-free acrylic. Care instructions: Hand wash only as the tumbler is not microwave or dishwasher safe. PLEASE NOTE: Sold individually. Pictured floral keychain is not included but is available separately as Product Code: EM-3185.